Have you ever thought about quilting on you home machine? Are you afraid to try it? Have you wished that you could make more quilts, but can't find the time to hand quilt them or budget and space for a long arm? Then this is the class for you. 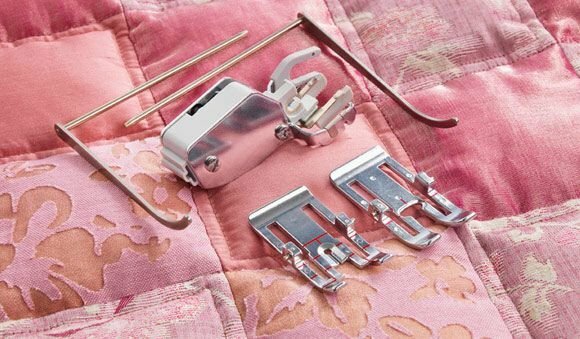 This class will walk you through the basics of quilting on your domestic sewing machine using a walking foot. Call the shop for more info.